Welcome to Featured Artist Friday! For the next several weeks, we'll be spotlighting some of the iLoveToCreate family of Featured Artists. 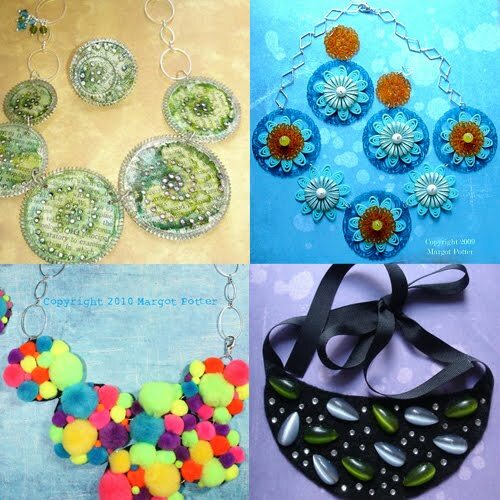 Today's featured artist is Margot Potter, the Impatient Crafter. 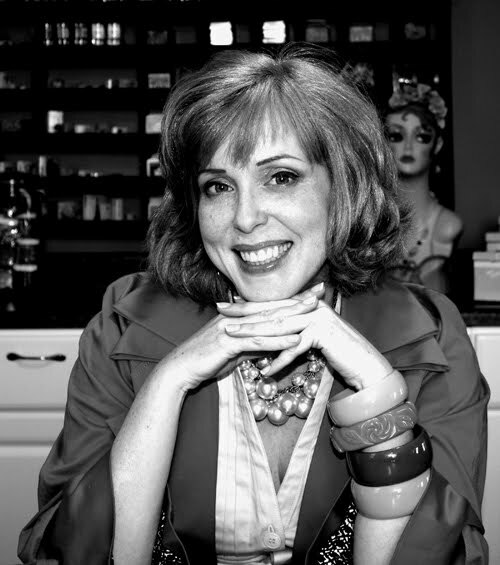 Margot is a designer, blogger, TV host, best-selling author, trendspotter, and a natural gifted all-around entertainer! She currently is the Education and Creative Coordinator for JTV's Jewel School and is spotlighted weekly on their live telecasts! Margot is a successful jewelry designer, having worked with both Beadalon, Swarovski, and many beading magazines. 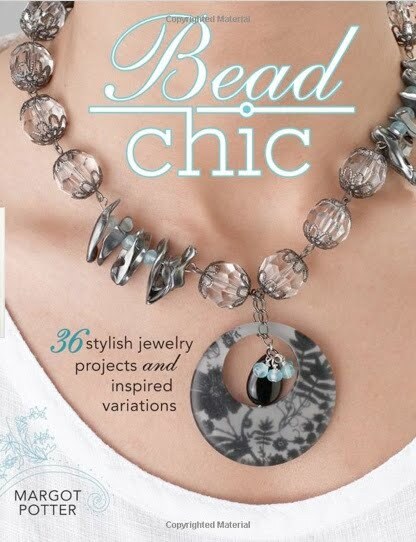 She has authored over 7 jewelrymaking books including her latest, Bead Chic: 36 Stylish Jewelry Projects and Inspired Variations! Here's a fun mini-interview we did with Margot! What inspires you and your creative process? Everything. I am inspired at every waking moment and my brain has an ever growing queue of ideas waiting to be explored. My creative process is idea pops into my head and I become obsessed with making it happen. Most of my best designs are a direct result of my willingness to make what I call glorious mistakes. A good designer is like a mad scientist, we have to explore and experiment. What is one art material you absolutely cannot do without? My husband builds me endless new storage units. I try not to let it get too out of control, which is tough if I'm working on a book. I have cabinets, shelves, bins and a vintage shelf that holds many of my inks, stamps, paints and ribbons. Do you listen to music while you work? What do you listen to? No, I don't. I'm a vocalist, so music distracts me too much. I like to focus with relentless specificity on the tasks at hand. I love to relax to music, but I work in silence. If Avalon, my daughter, is in the studio we'll crank up Queen's greatest hits. What would you tell an artist just starting out? Create without filters, make glorious mistakes, color outside of the lines and don't worry so much about the result, art is about the act of creativity. The result is just the residue of that act. Also turn off your inner critic, even the crappiest creations are creative fertilizer. Here's just a few of Margot's wonderful jewelry creations (all images copyright Margot Potter)! Thanks Margot for your always savvy wisdom and inspiring others to find their inner creative voice! Learn more about Margot at her blog, Margot Potter, the Impatient Crafter and on her Featured Artist Page on ilovetocreate.com!.